Welcome to the About Us page for StrawberriesForStrawberryLovers.Com, Home of the World's Happiest Fruit! 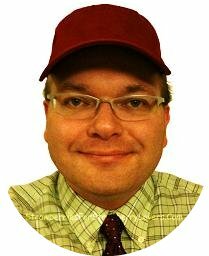 I'm Steve Gilkey, the founder of this site. Hi! I'm Steve! Nice to meet you! In fact, at this time (May 11, 2010) I'm also the sole owner of this website, as well as the site's webmaster. Well, I'm the only employee for now, so of course I need to "do it all"! (Yes, I even make the recipes and do the photography.) I just want to make sure this is understood at the very beginning of this page because I don't want anyone to feel deceived by the "us" (plural) in the "About Us" title for this page. It is standard practice to call a page such as this the "About Us" page, so that's what I'm calling it. Hopefully this makes the true situation clear. I also hope it will become clear to you that, in visiting this site, you are NOT interacting with some giant company that can only think of you as a statistic... just one more number. I'd like more and more people to visit and enjoy StrawberriesForStrawberryLovers.Com, of course. However, it is my personal commitment to do everything within reason to treat everyone (visitor to this site, or not) "as I would want someone to treat me". This site is, and will remain (God willing), committed to that same perspective. You are NOT just a number here. Now, even though I've already said this is not an "About Me" page, it is nevertheless true that this site is a reflection of who I am as a person. I am a Christian. I will not be dishonest or otherwise disingenuous with you about my religious beliefs. My respect for you demands my honesty with you. This site is dedicated to the Glory of God, and to the Glory of His Son, Jesus Christ; and there is a "Dedication Page" on this site with the sole purpose of stating this fact clearly. You will find a link, prominently featured near the top of every page, that goes directly to that "Dedication Page". Having said this, I want to quickly add that everyone who comes here for friendship and mutual appreciation of our favorite fruit is most certainly welcome! And the coming together of strawberry lovers from all over the world is the purpose of this site. We, all of "us" strawberry lovers, are what this site is "about". This site is "about us". At this moment, as I'm typing this page, I'm living in an apartment in a small, college town called "Murray", in the western part of the state of Kentucky, in the United States. Hopefully I will get to meet people from many, many places in this website, both near and far away. Hopefully I will be able to share with each person our common interest in "the World's Happiest Fruit"... and also sincere friendship. Hopefully YOU will be able to do those things, too! So leave a message or comment on Facebook, or send a note using the "Make Contact!" page. And as other ways are added to get involved with this site, be sure to use those, too! Help to truly make this site about us! P.S. In the interest of building understanding between people of different religions, please allow me to add one more thing on this About Us page. The reason that we Christians are so eager to tell everyone that we are Christians is because of what our Holy Scriptures teach us about this issue. According to our Scriptures, any Christian that is unwilling to admit to being a Christian is guilty of the sin of being "embarrassed by God", better known as being "ashamed of God". Just as some people may be embarrassed to admit that they know some other person, people can also be embarrassed to admit that they believe in God. And just as such embarrassment about another person is a show of grave disrespect for that other person, so to it is a show of grave disrespect towards God for a Christian to be embarrassed to admit that he or she is a Christian. Of course, we Christians do not want to disrespect God in any way. So, we "confess our Faith" in God to other people as a demonstration of our deep respect for Him. Among those Christians who correctly follow the teachings of Jesus, this "confession of Faith" is not intended as a hurtful action towards anyone, in any way. I hope this postscript will help to encourage understanding and friendship. Thank you for your time.